There was a time, long ago, where if you wanted to play a game with your friends, you’d have to gather them all over to your house, borrow the TV from your parents and then get everyone set up on the console. This was usually alright, if you had a Nintendo 64 and enough first-party controllers to serve four people, as well as copious amounts of crisps and enough fizzy drinks to float a battleship. That was always a great combination with hyperactive teenagers, and usually led to some interesting gaming sessions. Then online gaming became more prevalent, which caused different arguments as time went on. Gamers are an argumentative and competitive bunch, it’s true. Just ask anyone who was forced into a Halo pistol duel to see who was the most skilled. But despite all the conflicts, we’ve still managed to keep a sense of community and cooperation throughout the years. As such, we’ve come up with a list of family-friendly games below that you can break out at a party for multiplayer fun with your family or friends whenever you are having holidays together. First on the list is Overcooked. Available on Windows, PlayStation 4, and Xbox One currently with a Nintendo Switch version currently being prepped for delivery later on this year, Overcooked is a harkening back to multiplayer games you can play whilst sat on the same sofa as your mates. 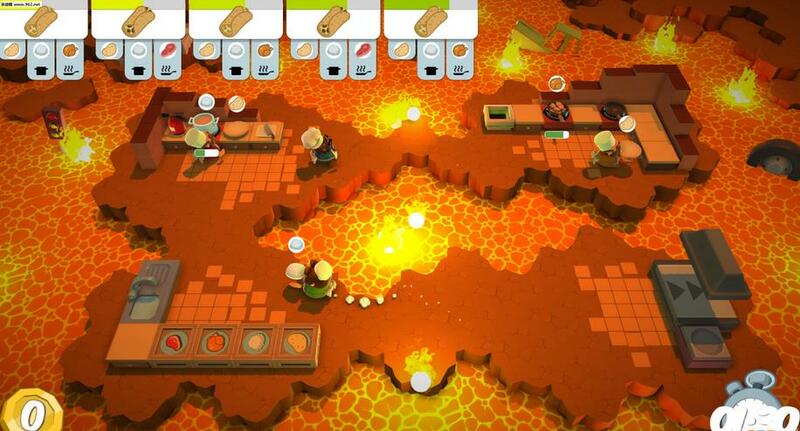 Cooperation is very much the name of the game here, with up to four players controlling chefs who have to run around a kitchen and prepare food. Sounds fairly simple, right? It’s deceptively difficult however, as the levels get increasingly difficult and new obstacles force you and your friends or family to cooperate to get the high score. Highly recommended due to the fact that it’s an addictive co-op game that can be played very quickly by anyone. Lego Dimensions is next up on our list, and is available on PlayStation 3 and PlayStation 4, Xbox 360 and Xbox One, and the Wii U. If you’ve played any of the other Lego games, then you’ll know exactly what you’re in for with Lego Dimensions, as it feels very similar to the other Lego games. If you’ve not played any of them before, then here’s a crash course to the Lego series of games. 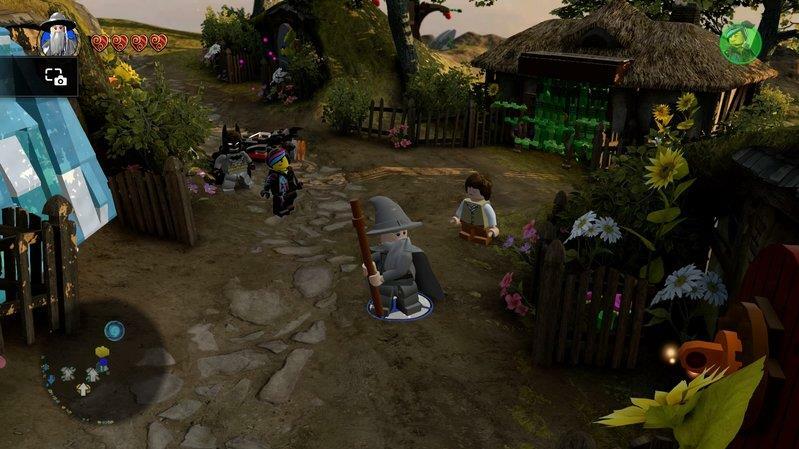 You play as a Lego character, with a partner either online or on the sofa next to you, and have to progress through levels. 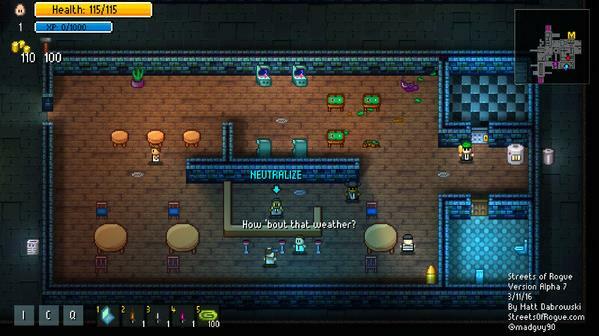 You’ll beat up bad guys, complete puzzles, and build lots of Lego designs along the way. Lego Dimensions is a great trip across different franchises, as you can purchase characters and worlds from 27 different franchises and play as their Lego selves. It’s always good fun pairing Gandalf and B.A. Baracus from the A-Team, to give a random example, and have them cause chaos in a Lego world. Recommended for the replayability on offer here with all the different packs available. Ah, Rocket League. 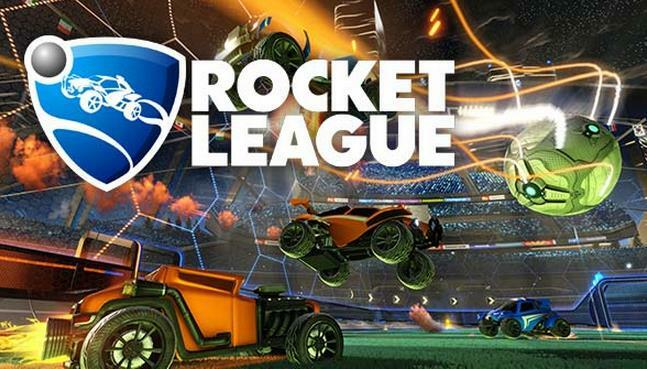 Available on Xbox One, PlayStation 4, Windows, OS X, and Linux currently and a Switch version in the works, Rocket League is one of the best family-friendly games out there. With both local co-op and online multiplayer available, Rocket League is a fairly simple game; think football but with cars with a jet engine attached to the back of them. Up to 4 people can play sat on the same sofa, and this goes up to 8 players online, making this great for a party game. Plus who doesn’t like driving around like a maniac and leaping into the air and smashing the ball into a goal from half a pitch away? Rocket League is also great as it allows both PC gamers and Xbox gamers to play against each other online, giving you more competition. Death Squared is our fourth game on our list, available on Xbox One, PlayStation 4 and Windows, and it’s great for either one two people or four people to get stuck into at a party. 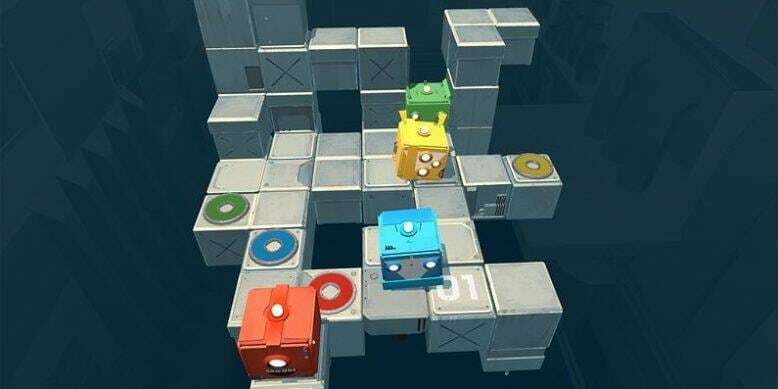 You play cooperatively to guide your square robot to a particular colour goal whilst outwitting hazards along the way. These can take the form of spikes, pitfalls, or moving blocks around to get to the goal, to give a few random examples. This is very much a cooperative game, as sometimes the hazards will be activated by other people on your team, forcing you all to talk and work together to avoid exploding violently. If one of your team dies, you all have to start from the beginning of the level, so this is very much suited for the patient party, or for the team that doesn’t take themselves too seriously. A bit of an oldie but goldie on the list, Castle Crashers is available on the Xbox 360 and One, PlayStation 3 and Windows and OS X. 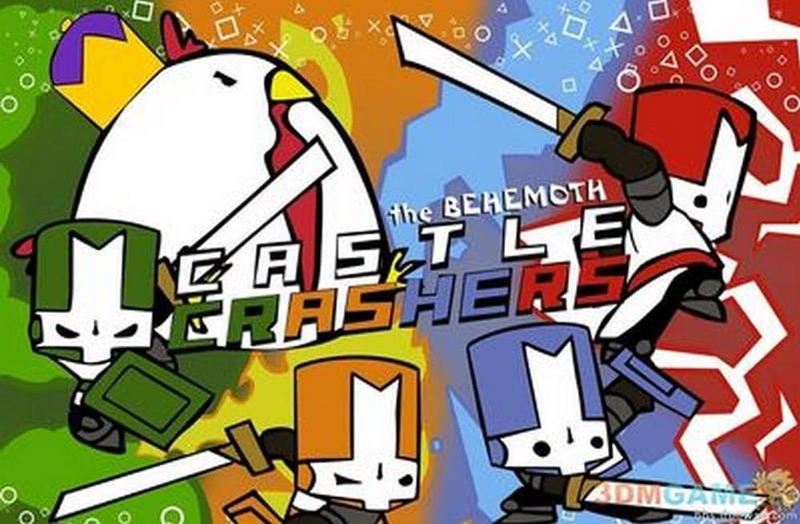 If you and your friends like your beat-em-ups to be colourful and with a side-helping of RPG elements, then Castle Crashers is ideal for your party. Up to 4 players can play together to beat up enemies across a range of levels. Along the way, you’ll all get the opportunity to upgrade your characters as you want to, so you’ve all got a unique team to work together to help beat the cooperative campaign. Whilst Streets of Rogue doesn’t have a final release as of yet, you can pick up the Early Access version on Windows today, with other versions including Xbox One, PlayStation 4, Windows, OS X and Linux coming at some point in the future. Featuring both online and local cooperative modes, you’ll find that Streets of Rogue is a bit of a mishmash of various genres. If you liked the rogue-like aspects of FTL, but wanted to combine it more with an RPG like Deus Ex, then Streets of Rogue is up your, uh, street. A procedurally generated city awaits you and three buddies, and offers you the chance to do whatever you want to in the game. Want to run around and avoid killing everyone, and instead become a hacker? You can do so. Fancy going on a rampage? Also possible. Just remember that you need both cash and chicken nuggets when playing the game. 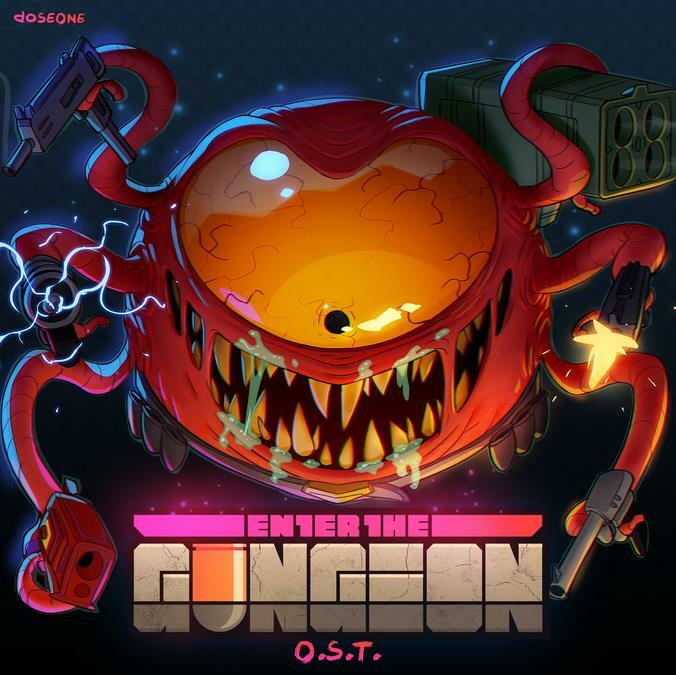 Like Streets of Rogue above, Enter the Gungeon is a roguelike game that’s currently available on the Xbox One, PlayStation 4, Windows, OS X and Linux, with a Switch version in development. Unlike every other game on the list so far, Enter the Gungeon is what’s known as a bullet hell shooter – you have to dodge overwhelming amounts of bullets all across the screen at times whilst killing everyone on screen. Enter the Gungeon mixes things up a bit by changing the layout of the titular Gungeon with every game you play. It’s only a 2 player coop game, but it’s still a great time for you and a friend. Do you want to be a 80s-style action hero with three of your friends or family? Then Broforce is the way to go. 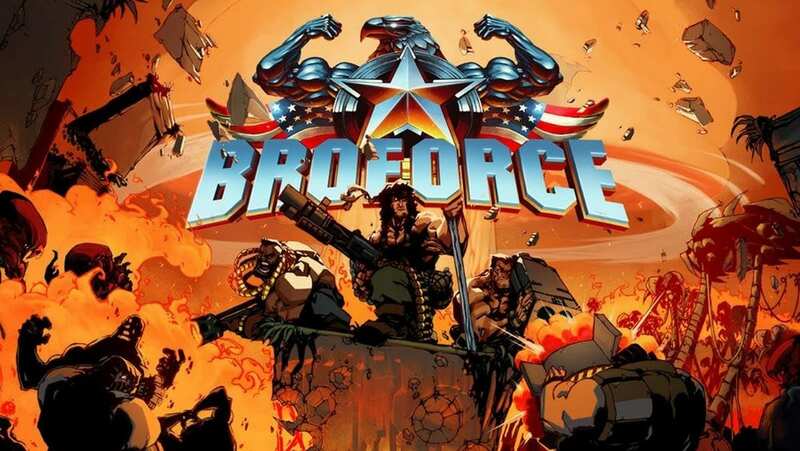 Available on Windows, OS X, Linux and PlayStation 4, Broforce allows you and your friends to all hang out on the sofa and shoot and explode everything on screen, including the scenery. So if you want to recreate Arnie’s shootout at the end of Commando with your bros, this is the ideal game for you. Although we’re not responsible if you go for the 80s mullet look, that one is on you entirely. 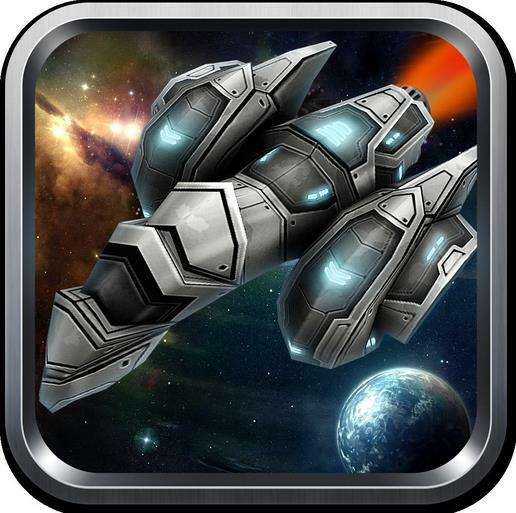 Space Team, available on your phone, rather than on a console or PC, is a bit of an oddly addictive co-op game. You and up to three other friends or family are all in charge of crewing a single spaceship, but you all have different dials and buttons and other things to toggle on your screen. The fun begins when you have to give each other orders based on what’s on your screen, for example, you may be told to toggle the Shockcrane, Take Evasive Maneuvers, or Entertain Dignitaries. Throw in three other people giving orders, and suddenly it becomes chaotic fun. Ideal for family chaos, parties or after a few drinks down the pub. Just try to not throw your phone across the room by accident when an asteroid is incoming. That’s never fun. The classic party game, Mario Kart, has been updated for the Wii U to cause even more chaos this time around in its 8th incarnation. Taking the simple racing formula present in every other Mario Kart game, as well as a lot of the items from previous games, this new version of Mario Kart also includes the new additions of ATVs, anti-gravity sections and some new items. 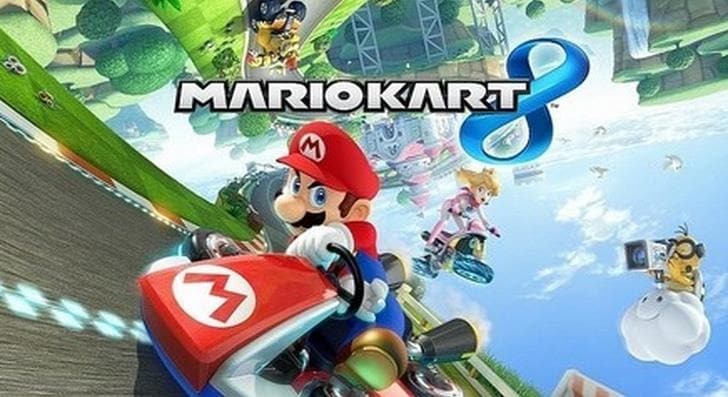 In short, if you’ve enjoyed the previous Mario Kart games and have fond memories of throwing Blue Shells to destroy whoever was in first place, then you’ll certainly enjoy Mario Kart 8. If you’ve not played any of the previous Mario Kart games, then this will certainly be a good start to the series. Plus hey, you also get the fun of having a four player game that can be easily set up from one sofa and is also ridiculously easy to ruin friendships over after Blue Shells start getting thrown around a lot. Last on the list, Just Dance 2017 is available on a variety of platforms, including Windows, PlayStation 3 and 4, Xbox 360 and One, the Wii and Wii U, and the Nintendo Switch. 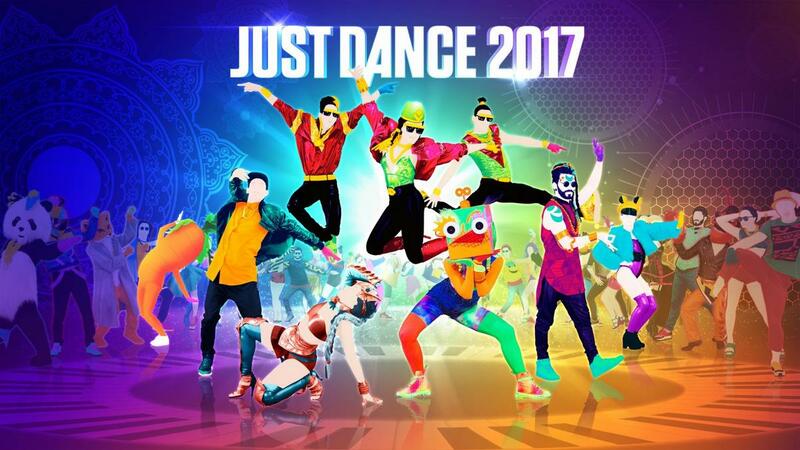 If you fancy something completely different from everything else on the list, then you may enjoy breaking out Just Dance 2017 for you and up to three other friends. You have to match the moves on-screen, which can lead to some interesting results if everyone has had a few drinks beforehand and you’ve only got a small living room. Also ideal for family dance-offs to decide who has to do the washing up afterwards.